Finally, some good news from across the pond — and on these shores — to delight my fellow DOCTOR WHO fans! The 11th Doctor (Matt Smith) is returning a tiny bit sooner than expected — but what else would you expect from the Time Lord with questionable timing? 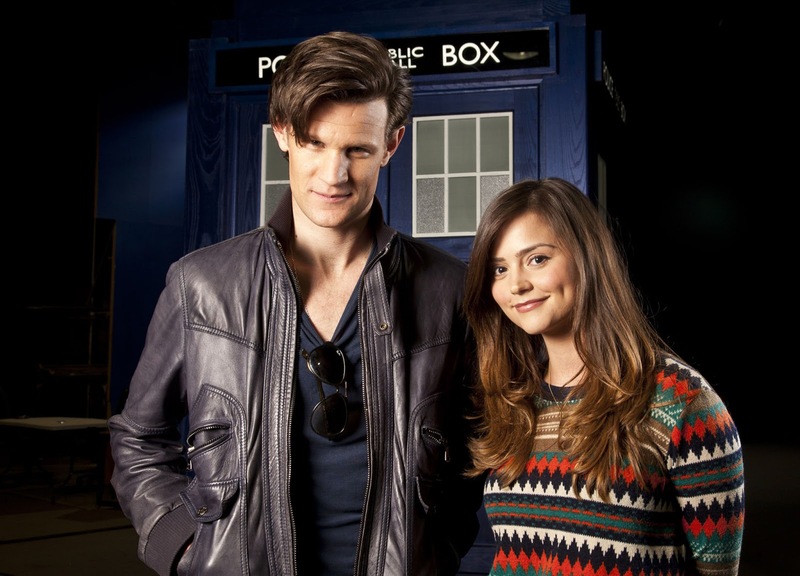 Surely you remember that the Christmas Special, “The Snowmen,” left us with a cliff-hanger revelation about Clara Oswin Oswald (Jenna Louise Coleman), and that lead writer Steven Moffat has promised to tease us with clues about her. Personally, I like the idea of this mysterious companion, since we haven’t seen this sort of intrigue since Turlough and the Fifth Doctor. A DOCTOR WHO Special with 11 Doctors?!?! Could it be true? 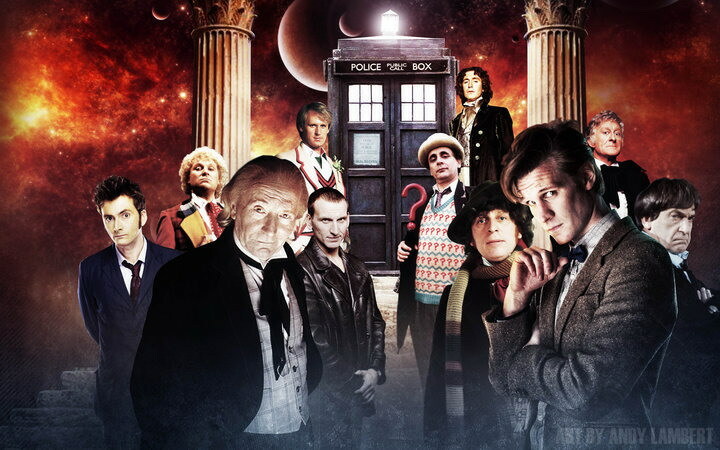 Could the collective greatest dream of DOCTOR WHO fandom come true in this, the series’ 50th anniversary year? I am referring, of course, to a special episode featuring all the living actors who have played the Doctor. But the newest rumor bouncing around the Internet today is that Steven Moffat is penning an episode incorporating all 11 Doctors — played by their original actors! Now, before we get all teary-eyes over the prospect of David Tennant’s 10th Doctor working alongside Peter Davison’s Fifth Doctor once again, or Matt Smith’s barking mad 11th Doctor getting a hand from Patrick Troughton’s fussy Second Doctor, we need to take a deep breath and note that this is nothing more than a rumor. And not even a very solid one, at that. The Birmingham Mail newspaper printed a story about an 11-Doctor special this morning without any sourcing or quotes — a sure sign that the story should be taken with a huge grain of salt (if not the entire salt shaker). Plus, certain details mentioned don’t really ring true. When the back half of series seven of DOCTOR WHO finally commences — most likely sometime in April — there will be some scary stuff coming down the pike, according to the director of two of those episodes, Saul Metzstein. We all know Joss Whedon’s The Avengers was nominated for just one single Academy Award — for special effects — but it should win the prize in a walk. Just to remind everyone how awesome and detailed the SPFX were, Industrial Light & Magic has released a special clip that demonstrates how some of the visuals were achieved. Pretty amazing, if you ask me. (And I really love this kind of “how they did it” feature, so DVD/Blu-ray has been a real boon to me.) These were the effects The Avengers deserved. By the way, did everyone notice that the Oscar nomination list referred to the title of this film as Marvel’s The Avengers? Director Guillermo Del Toro, bless his geek heart, has decided to take another run at getting his dream project — a faithful adaptation of H.P. Lovecraft’s classic tale At the Mountains of Madness — off the ground and into multiplexes. The Mexican maestro is so dedicated to this project that reviving ATMOM was one of the reasons Del Toro turned down a chance to direct Star Wars — Episode VII! Del Toro had gotten pretty far into preproduction on ATMOM with none other than Tom Cruise in the lead role way back in 2011 when Universal suddenly pulled the plug, nervous about the flick’s unavoidable R rating and a budget that was anything but cheap.